Chicago Tribune food critic, Phil Vettel, published his review of Haussmann Brasserie today. Haussmann, which opened in May, is the latest restaurant endeavor by acclaimed chef Jacky Pluton. The restaurant is a contemporary American brasserie with many French influences. 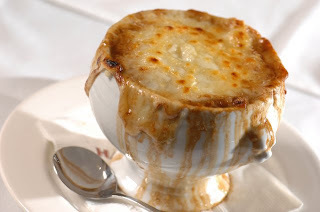 Vettel described some of his favorite menu items including the "perfectly balanced French onion soup, under a layer of melted Gruyere that's as comforting as a baby blanket." Vettel also stated "the cauliflower gratin, with a light bechamel sauce, is a knockout." Overall, Vettel gave Haussmann a two-star (very good) rating. Check out the complete story, here. Are you ready for the Localvore Challenge? Top New Restaurant in the World!